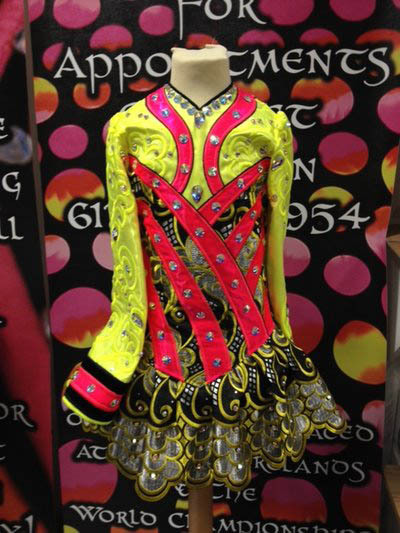 Gavin Doherty dress made for Worlds. Dress appropriate for petite 10-11 year old or even 8-9 year old. Incredibly eye catching from stage. Hundreds of Swarovski crystals added.